Iowa Wesleyan University is a fully accredited, coeducational liberal arts university. Founded in 1842, it has a rich history of innovation in education, pioneering in the sciences, educational opportunities for women and service-learning, to name just a few. Nearing the end of its 60-month contract with its prior vendor, Iowa Wesleyan University wasn’t aware of the importance of reevaluating its printing needs. A Marco technology advisor was able to meet with some of the University’s staff members. While Iowa Wesleyan was gathering bids and inquiries from other companies, Marco was coordinating walk-throughs of the University campus to inspect equipment and interview end-users on its print needs. Most of the University’s copiers were standalone and most print jobs were sent to its HP LaserJet printers. Marco identified this as a major cost savings opportunity for the University. 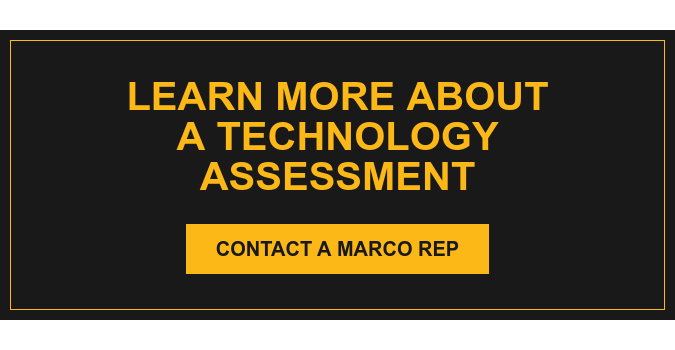 Marco’s exceptional customer service led to another opportunity to assist the University six years later, as upgrades were needed to the printing devices. What Marco calls a “right-place, right-time” scenario incited a discussion six years ago about networking all of the new equipment to help reduce the University’s print spending by sending jobs to devices with significantly lower operational costs. Another cost savings opportunity Marco explored was fully utilizing the advantages of the scanning feature, which would bring lower costs, secure printing, and advanced finishing options and scanning. “We now have email and fax capabilities, and machines that helped our department tremendously,” Wohlleber said. After five years of working with Konica Minolta equipment and in need of an upgrade, Iowa Wesleyan contacted its Marco technology advisor. Iowa Wesleyan’s IT department was on board with the plan after having great experiences working with Konica Minolta. In March, the University did a full exchange of its equipment to Konica Minolta with Marco, and consolidated all of the devices to larger workgroup copiers.